(and I had a coupon for the fabric so it only cost $13)! and let me just say - modeling is hard. That's probably why those Anthro models always look so grumpy and tired. 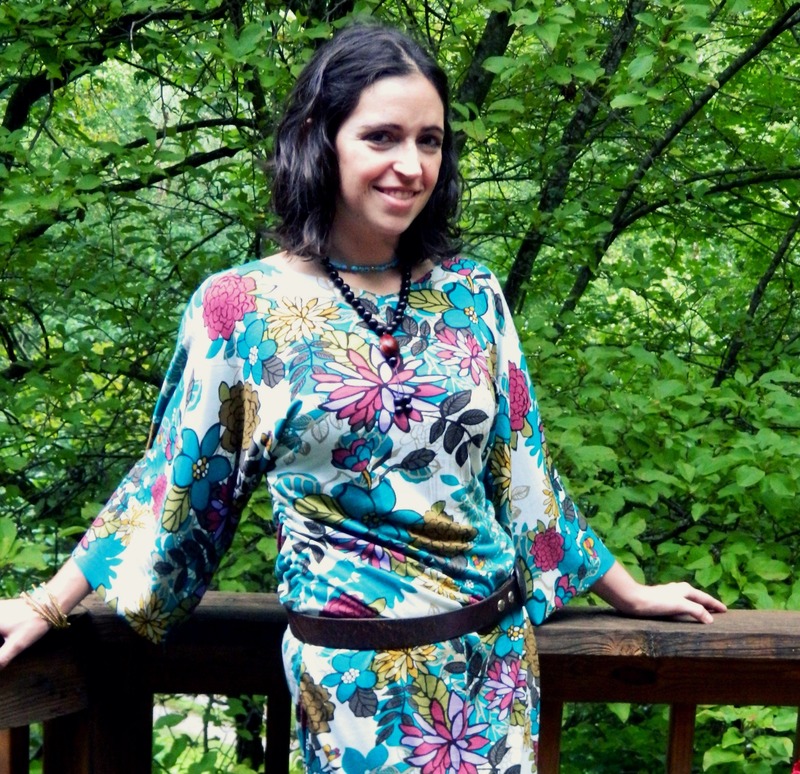 So, I started out by making a top by Natalie at the Hungry Hippie. It is super easy and I love it. and she said - why not just extend it and make it into a dress? So that's what I did! Check out Natalie's tutorial for making the top, then come back here to see how I changed it into a dress. 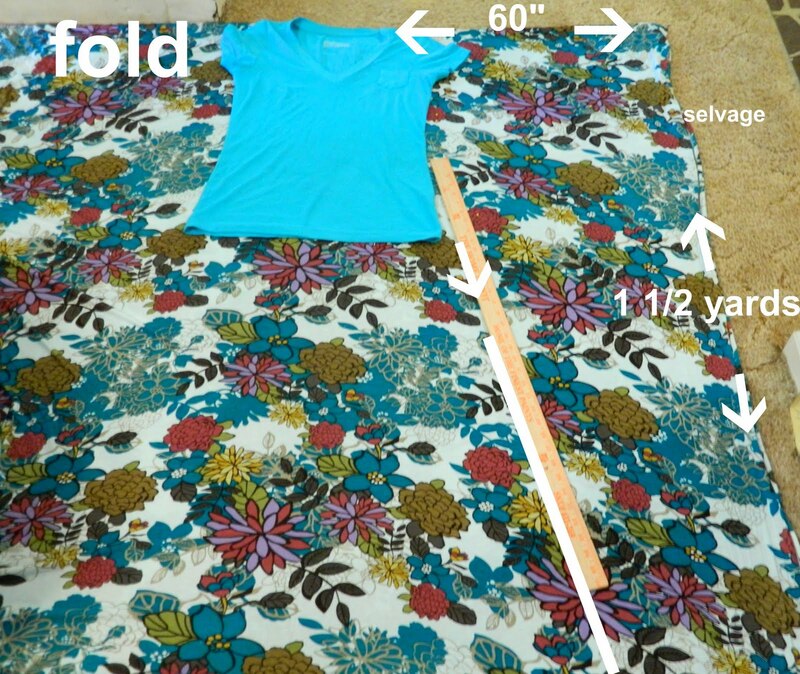 Step 1: Fold the fabric so that it is longer than it is wide. (mine was 1 1/4 yards long (folded) and 60" wide). Lay out a knit shirt that fits you - maybe one that is slightly baggy. Draw one arm and one side - flaring out once you get to the waist. Find the center top along the fold and then fold your cut half onto the uncut half. Make sure it is straight. Trim out the other side. While it is still folded cut a neckhole - start small you can always make it bigger - enough to get your head through. Step 2: Sew it up like Natalie suggests. Turn it right sides out and try it on. Put a pin at the lowest point you would like the neckline to come, and put some pins in where you would like the bottom of the dress to fall. 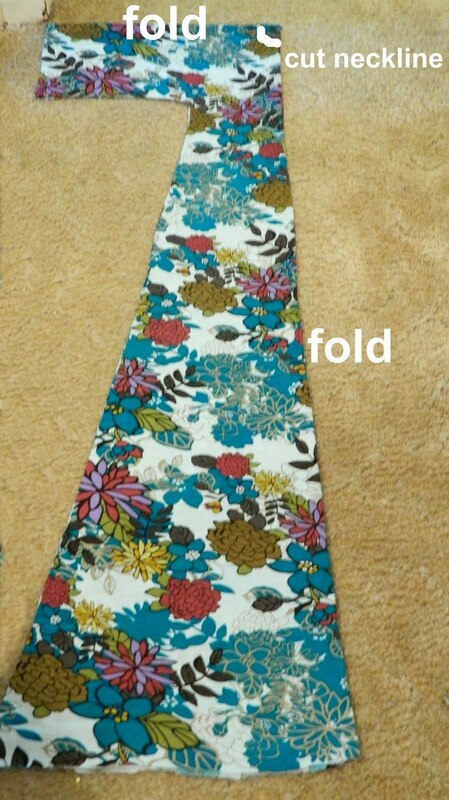 Step 3: Take it off and fold it in half length-wise again. 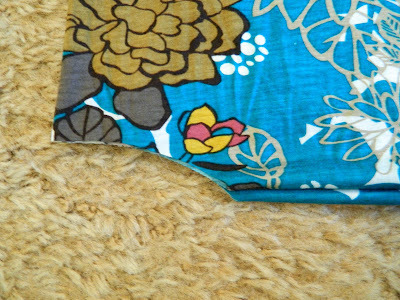 Trim off the bottom along the line where you pinned it, and trim your neckline to the pin. Step 4: Wind some elastic thread onto your bobbin (either by hand or with your machine). 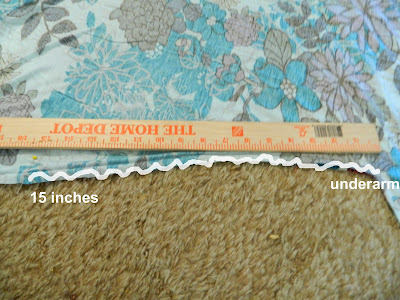 Turn the dress wrong side out and measure from under the arm down about 15". And that's it! 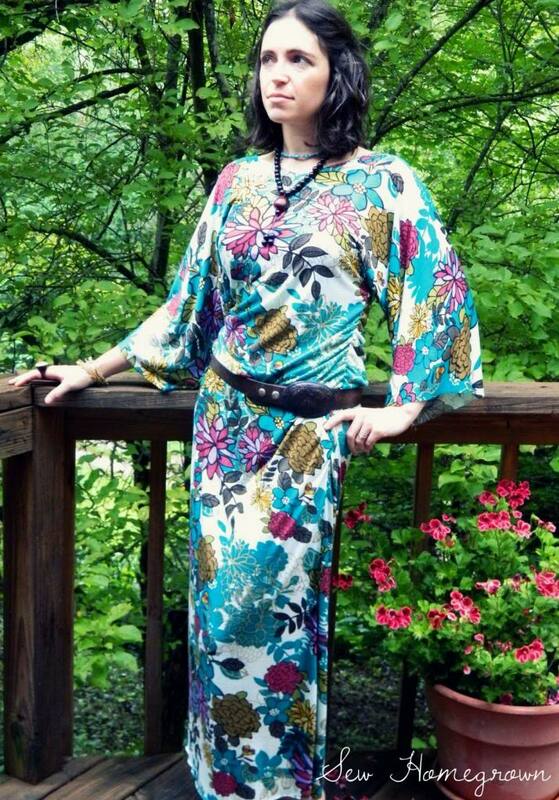 Be sure to trim your threads - pair it with a belt and some funky jewelry and you're ready to hit the town! Hope you have a great weekend, and as always if you have any questions about a tutorial leave a comment or email me at jessica(at)makeitlovely(dot)com. This is awesome! I am a newbie and will be creating this look ASAP! please share. What type of sewing machine are you using?. Well....you were not kidding when you said you left stuff out of your "tute". I really, REALLy, wanted to make this....but, IDK now...There's so many instructions at the end that leave out sooo much. I DID go check out the Happy Hippy, Hungry hippy whatever,'s tutorial, even then there's just some stuff I don't know yet.